Kirsti, the key-keeper at Laukko Manor, serves her lord Klaus Kurki body and soul. As Kirsti eagerly anticipates a marriage proposal from Kurki, the lord decides to embark on a journey to find a new maid for the manor. He then returns not with a maid, but a bride, Elina. How willingly will the betrayed Kirsti serve her new lady? Elina has no idea what lies in store for her at her new home, where Kirsti will relinquish neither the manor nor its master. The women’s shared childhood counts for naught when the prize is a secure future as Lady of Laukko. But exactly how far is Kirsti prepared to go to hold on to the fortune that threatens to slip from her grasp? 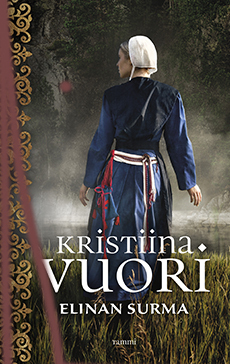 Kristiina Vuori is a raconteur nonpareil, bringing the past vividly to life on the pages of her entertaining and enormously popular works. Vuori’s talent lies in passion-filled fiction that depicts historical milieus in authentic detail. An engrossing historical saga delivered with verve and panache!